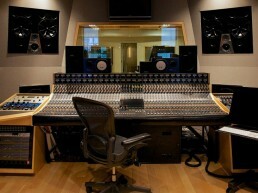 Downtown Studios | Pilchner Schoustal International Inc. 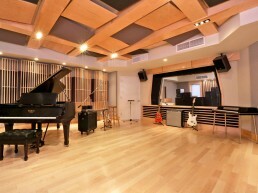 This facility was designed for Downtown Records in New York and features two control rooms sharing a studio proper and two isolation booths. 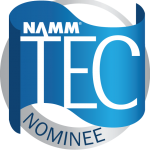 The facility was nominated for a TEC Award in 2009. Downtown Studios Control Room A incorporates custom designed desk and furniture systems, and rear wall windows which look onto the private lounge and the street below. This space embraces a modern contemporary look with acoustically rational finishes and treatments. Monitoring is via soffit mounted mains and a series of nearfield systems. The Studio Proper features an articulated ceiling with absorptive and diffusive elements. 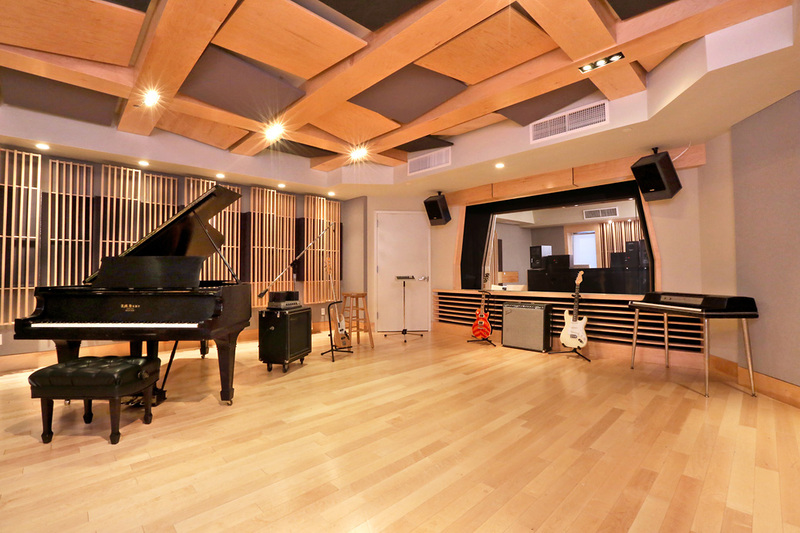 The side walls of the studio use invertible acoustic elements which can be arranged to be absorptive or reflective. 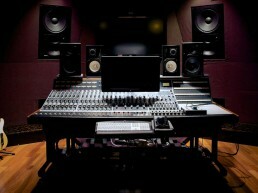 The studio proper has a dedicated equipment storage closet, an amplifier isolation area, and two isolation booths. 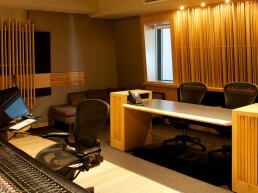 Control Room B incorporates a custom desk and furniture solution. 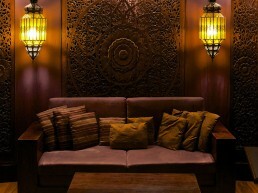 The room incorporates an East Asian theme highlighted by hand carved wooden trim and a series of hand carved wooden screens placed in front of the rear low frequency trapping assembly. Monitoring is via soffit mounted mains and a near field system. 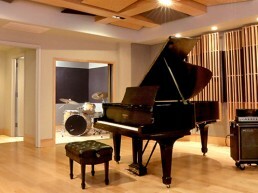 The spaces are completely de-coupled from the building, providing a high degree of sound isolation.